Custodians of cricket laws, the Marylebone Cricket Club (MCC), Tuesday said Indian off-spinner Ravichandran Ashwin was under no obligation to warn Jos Buttler before 'Mankading' him in an IPL game in Jaipur. 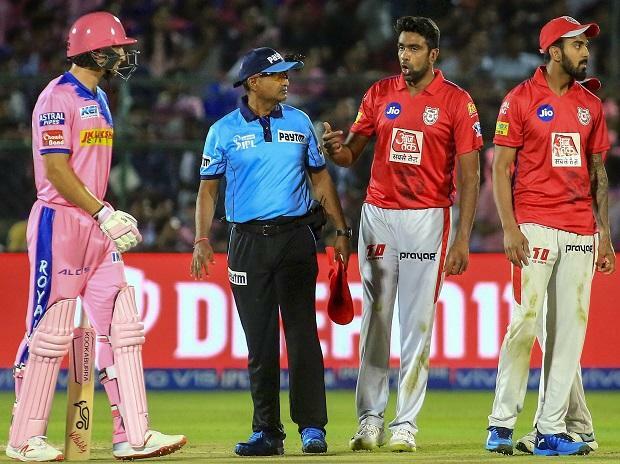 Responding to the furore that followed Ashwin (Kings XI Punjab) running out Buttler (Rajasthan Royals), at the non-striker's end, on his delivery stride, the MCC said the final decision was up to to the umpire and "it was understandable how he opted to give Buttler out". "To clarify, it has never been in the Laws that a warning should be given to the non-striker and nor is it against the Spirit of Cricket to run out a non-striker who is seeking to gain an advantage by leaving his/her ground early," the MCC said in a statement. "This Law is essential. Without it, non-strikers could back up at liberty, several yards down the pitch and a Law is needed to prevent such action," it added. Ashwin has defended himself amid a barrage of criticism. Rajasthan Royals' brand ambassador Shane Warne has gone to the extent of saying that what the Indian off-spinner did was disgraceful. "The crux of the issue is when the non-striker can safely leave his/her ground, and what the bowler can do to effect this form of dismissal without courting controversy," the MCC said. The body said that batsmen should stay behind the crease at the non-striker's end "until it is fair for them to leave". "If it was a deliberate delay, that would be unfair and against the Spirit of Cricket. Ashwin claims this not to be the case," it said. The MCC said it expects the spirit of the game is followed by all teams involved. "Non-strikers must be careful not to gain an unfair advantage by leaving their ground early, while bowlers must act within the timeframe outlined in the Law to effect a Run out under Law 41.16," it said.